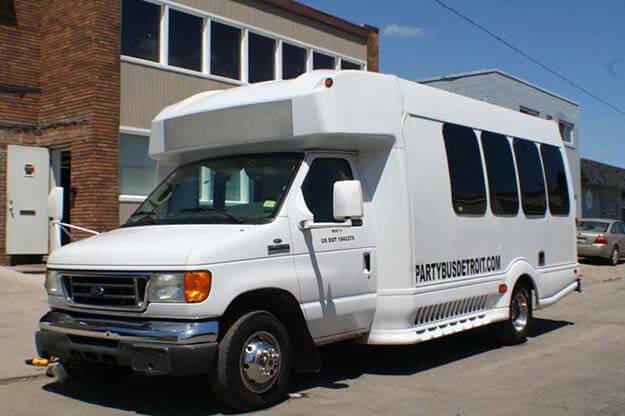 This is our 16-18 Passenger Party/Limo Bus. 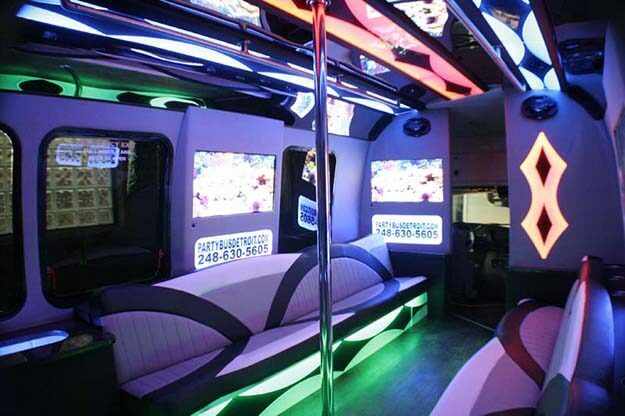 It has a white exterior and a black/gray interior that is 100% custom. 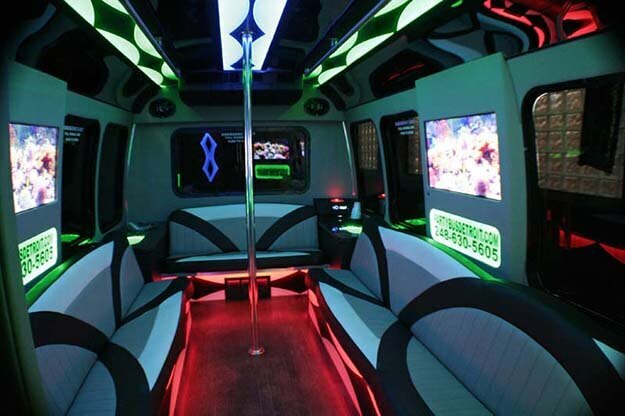 It color changing steps, kick panels below the seats, and ceiling. 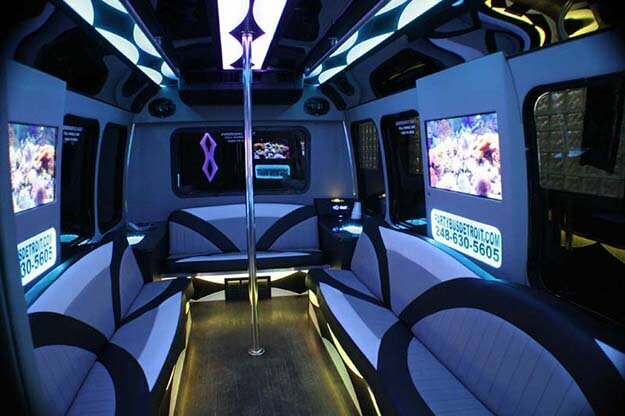 The seats and walls are wrapped with black and gray leather with white accents. 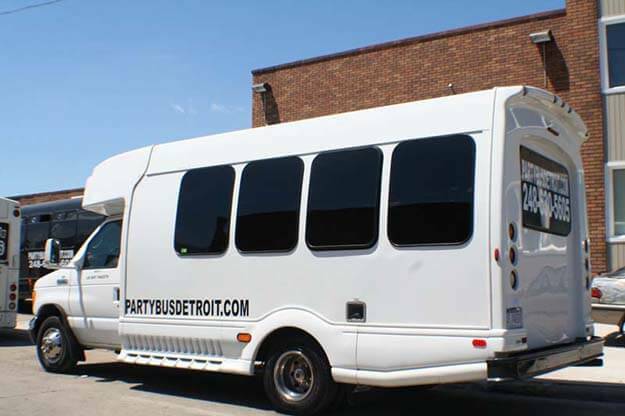 The bus features three 32" Flat screen TVs and a loud sound system with CD/DVD and iPod connector. 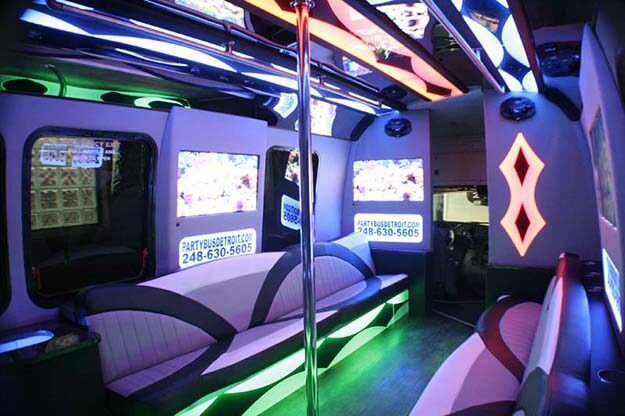 It has two granite bars with built in coolers and cup holders to store your drinks through out the bus. 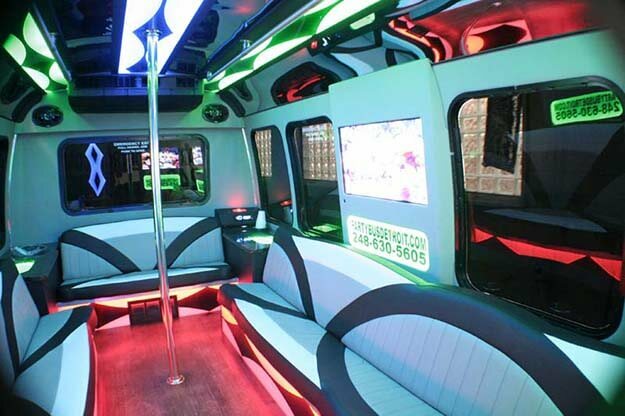 The bus has a stripper pole and hardwood floors. We supply cups, ice, and paper towel so you just need to bring your own drinks and be ready for a good time. 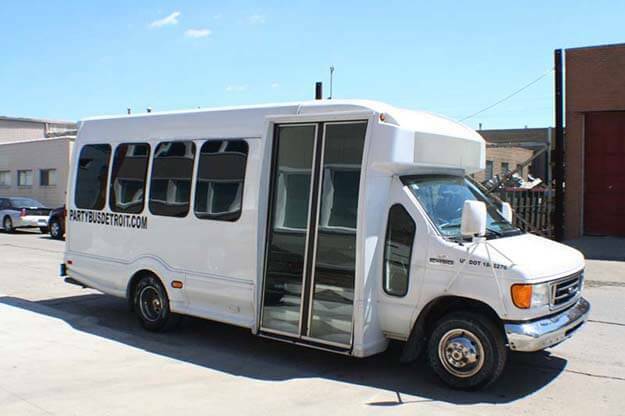 The bus is non-smoking.